2.5mm cable. Electronically moulded ES or BC fittings. 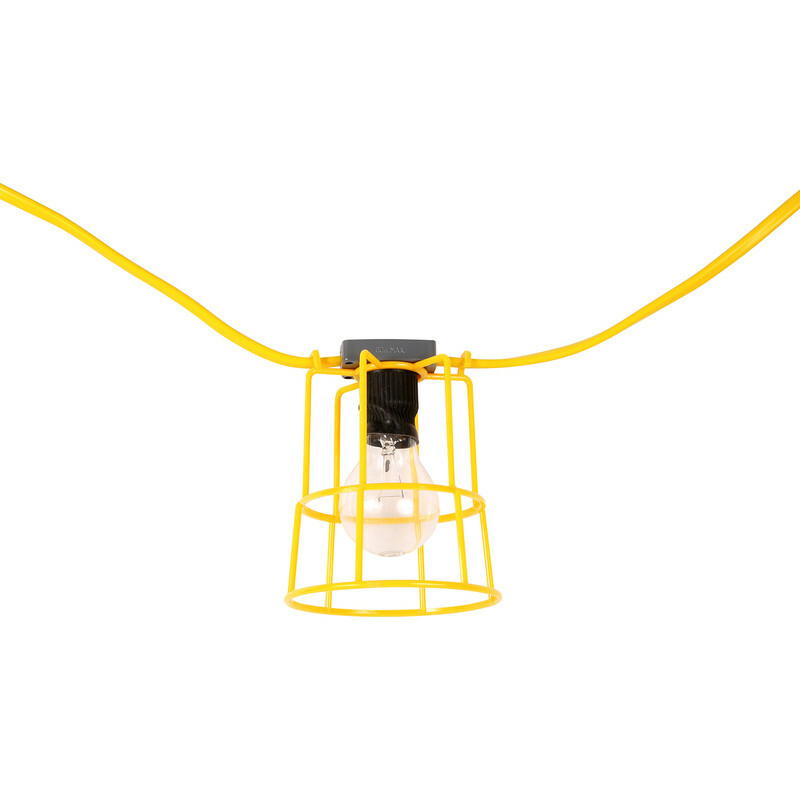 Comes with fitted 16A plug and 10x lamp holders, guards and 60W bulbs. 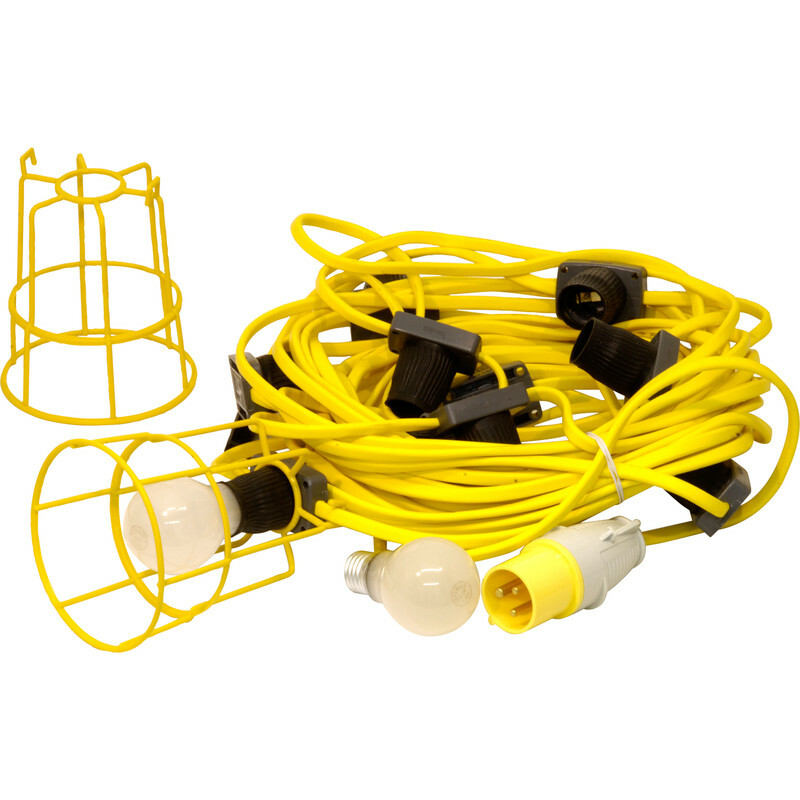 Festoon Lighting Set 110V 22m ES Lamp 10 Holders is rated 4.3 out of 5 by 3.